Arriving at Salt Deli in Bantry Bay (a little late I must admit), I’m greeted by the charming smile of my next actor… Justin Munitz. 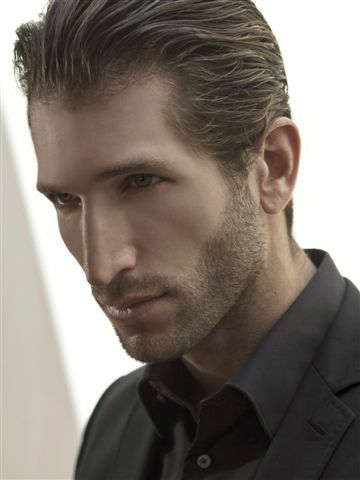 Actor, model and entrepreneur, he has done loads of commercial work and had his first film debut last year. He’s travelled to Paris, London, Berlin and Milan for modelling and studied acting at New York’s famous William Esper Studio. Now actively involved in the film industry here in Cape Town, I met up with him to find out a bit more. Tamika: So where are you from originally? Tamika: Where did you go to school? Tamika: What did you do after school? Justin: I studied Marketing and Economics at UCT for two years and then did four years through Unisa. I finished in 2003. Tamika: What kind of training did you do for acting, if any? Justin: I actually first got into the scene through a modelling agency. The first ever modelling agency I belonged to was ‘Goodski’ – for extreme sports. That was my first introduction to TV Commercials. That spawned a haphazard modelling career for years, where I changed agencies a couple of times and travelled around Europe! But there came a time when I realised I started booking more commercial work than print work and it was through the commercials that I realised that acting was what I wanted to do. At 29, I attended the Screen Actor’s Studio here in Cape Town for a year. I also did workshops with Bjorn Steinbach. And I took myself to New York to do their Summer Intensive programme at the William Esper Studio. Along with practical experience, those were the places where I honed my acting skills. Tamika: What would you say it is that you do primarily –acting for theatre or for film? Justin: I am acting mostly for commercials these days. But of course film and television are what I’m focused on. Tamika: Name your most recent role – what film was it, when was it and what was your role? Justin: Ambassador 2, featuring my good friend Siv Ngesi, last year (2011). I played a corrupt businessman involved in illegal ivory poaching. We shot at a game reserve in Pietermaritzburg as well as in Cape Town. Tamika: Have you done any commercials? If so, what? Justin: Yes I have. I’ve done mostly car commercials; including for the BMW M3, Opel, Audi and VW. Then there has been for LG here in South Africa and LV Insurance in Europe. And recently there’s been Black Label and Nescafe Gold. Tamika: What is the most recent you have done? Tamika: What’s in the pipeline for you at the moment? Justin: Continuing with castings and auditions for film and television. Aside from that, what keeps me most busy is my photography work. I started a business called “#justshootme” and my main niche at the moment is new born babies and events. I have a Facebook page for my photography where people can go check out my work if they like! My website is hellobaby.blogspot.com. Apart from photographing and editing, I’m also a personal trainer – people come to my studio here in Bantry Bay and I do what is known as “High Intensity Interval Training”. Tamika: Who is your agent? Tamika: Do you also model? Justin: Yes I still do, with Pure Management. Tamika: What are your favourite South African films? Justin: Heel Against The Head, starring Bill Flynn and Paul Slabolepszy. Tamika: Where do you party, usually? Justin: Caprice and The Reserve. Tamika: What’s in the boot of your car right now? Justin: A sandbag weight to hold down my lighting equipment! Tamika: Do you have siblings? Justin: Yes I do; an older brother – the best life coach in South Africa. Tamika: What is your health routine like? Justin: Very good. My personal training obviously helps with that. Tamika: Where do you see yourself in ten years from now? Justin: In terms of acting, I think the South African industry is in its infancy for film. If it continues at the level it’s going, hopefully in ten years it will have the infrastructure to support my acting goals. Tamika: What’s one interesting thing about you that your followers don’t know? Justin: I can be quite shy. Tamika: Name a place you love. Tamika: Do you do any charity work? Justin: I plan on getting more involved with charity in 2012. Tamika: What do you tell yourself when you walk out of an audition? Justin: I keep a journal and write down every casting I go to and how I felt about it. If you want to follow him on Twitter, he goes by @JustinMunitz.